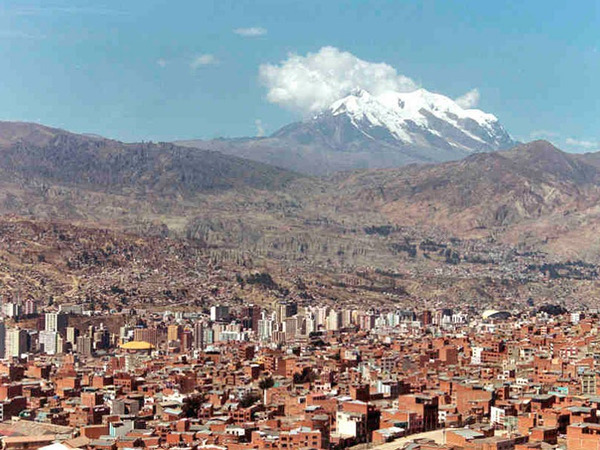 Illimani dominates La Paz and has become its emblem. 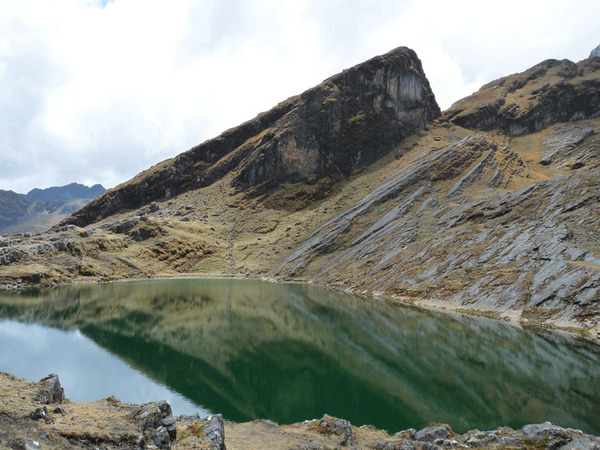 Impressive and majestic, peaking at 6432 meters above sea level it is one of the Giants of the Cordillera! 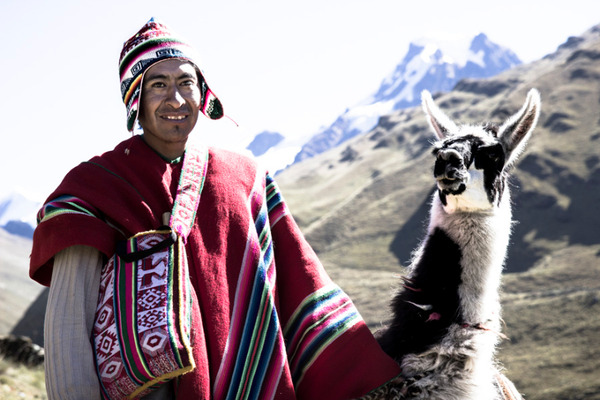 This beautiful altitude-trek first takes us to the mountaineering base camp, before following along the hillsides of the Mururata mountain range (« chopped head» in the Aymara language). 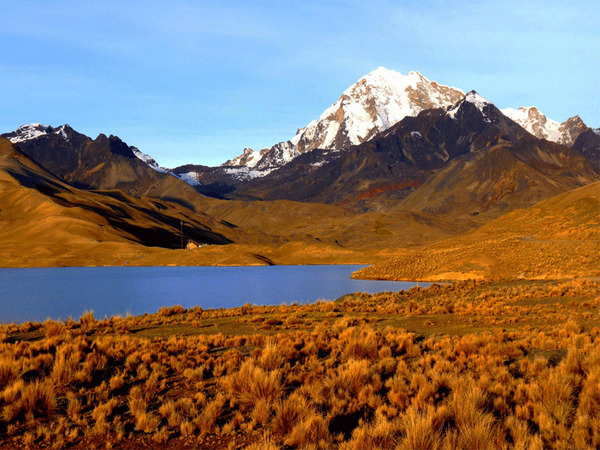 Option, possibility to climb to the «Condors’ nest », the altitude camp for the ascent of Illimani, from where the view over the Cordillera and the Altiplano is breathtaking. 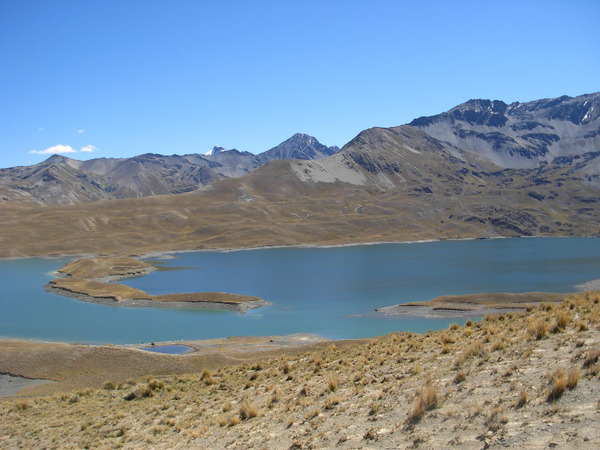 Warning: altitude-trek with passes at over 5000 m.a.s.l.  Good acclimatization and physical condition necessary. Departure from the hotel at 8 a.m. in private vehicle for Pinaya (3h30), isolated village on the slopes of Illimani, at 3900 m of altitude. 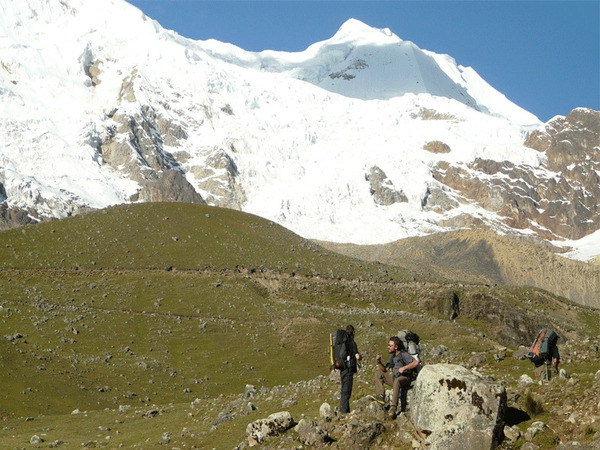 We meet our team of muleteers and start trekking towards the base camp of Illimani, known as Puente Roto. 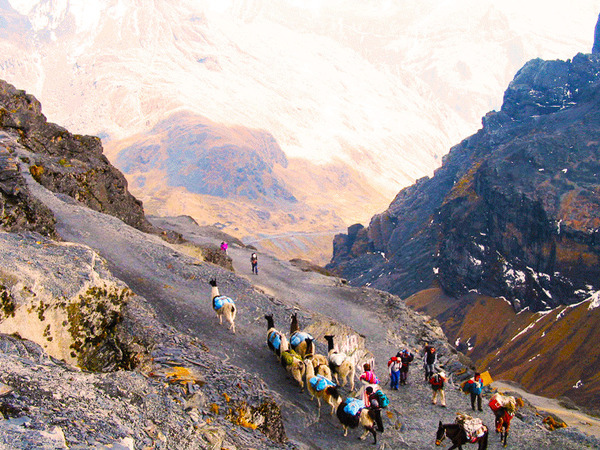 Note: mules and porters for the 3 days of the ascent. We follow an old path on the hillsides of the West face of Illimani (summit symbol of La Paz). The glacier is nearby. After a hike of about 6 hours and a pass 5000 meters above sea level, we arrive at our camp, next to the ancient mine of Mina Aguila, at 4400 m.a.s.l. 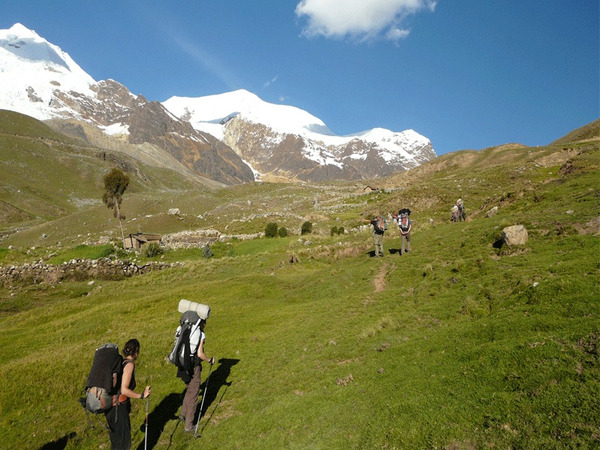 We climb up the Illimani foothills to a pass at an altitude of 4800 meters, from where we descend to camp at Tutural Pampa, at the foot of Mururata (6/7-hour walk). Cold lunch. All included. Camping or lodging with local host (basic comfort). Early departure for our beautiful and almost unknown trek. We walk from one laguna to the next until we reach the foot of the Mururata glacier(el. 5870 m.a.s.l.) 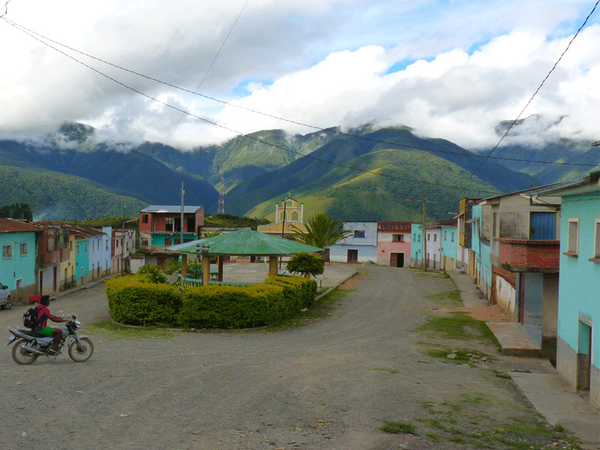 then we descend to Tutural pampa (6 to 7 hour-walk), where our private 4WD awaits us to take us back to La Paz.